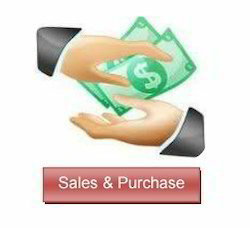 Our Software helps you manage your Sales, Purchase and Inventory of your products. Inventory management options range from complete Barcode systems to just inventory software. Very easy to use Chemist shopper & any retailer. All accounting need fullfil in one software. This barcode maker software supports all bar code formats (linear bar codes, 2D barcodes, GS1 barcodes, postal codes...) and covers requirements of graphics studios, print-shops, pre press applications, designers and barcode developers. Blue Edition resides on top of the IBM Websphere Remote Server (WRS) to make this solution available to retailers at an acceptable price-point. The underlying DB2 database makes it capable of handling large volumes of data while Websphere. MQ is leveraged for that much needed reliable data synchronization across the enterprise. Being a frontrunner in the industry, we are involved in providing our customers highly qualitative Inventory Management Computer Software. These services are offered in agreement with the defined guidelines to preserve our standing in the industry. To add, the employees rendering these services are appointed after stern analysis of their skills and experience. 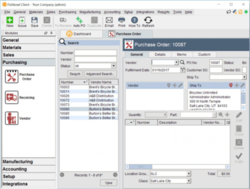 Inventory Management Software for Manufacturing is specially designed for Small Manufacturing/Assembling units to High-end Manufacturing plants, by seamlessly integrating all transactions with Mobile Apps for Customers, Salesman & Owners.